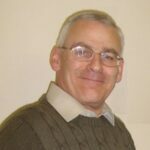 My name is Philip Neale, and using the pen name Neal James, I have three published works through Pneuma Springs – I have been writing since 2007. I am 58, an accountant by trade and an author by choice. My first book, ‘A Ticket to Tewkesbury’  (ISBN 9781905809349) is a spy thriller set in 1992 and has experienced very encouraging attention from libraries and high street shops alike. It was followed a year later by my first anthology & Short Stories Volume One&  (ISBN 9781905809608). & Two Little Dicky Birds&  (ISBN 9781905809936), my second full-length novel, was released in August 2010 and has enjoyed the same level of popularity. I have travelled England from Newcastle upon Tyne to Battersea via Lichfield giving talks to reading groups, and am available for engagements as and when they come along. My next book, & Threads of Deceit&  is scheduled for later this year, and is a tale of fraud, embezzlement, deceit and murder in the textile industry. It will be followed by the crime thriller & Full Marks& . I am currently writing & Day of the Phoenix& , the sequel to & A Ticket to Tewkesbury& , and the next project will be the horror novel & Dreamer& . A second collection of short stories is also in the pipeline.